A special night of Ji-Kabuki is performed in the hall of a national historical site, Takayama-Jinya (historical government office), which still retains the flavor of the Edo Period. Tickets will be sold on the day of the performance at the special booth located by the tourist information of East Gate of JR Takayama station (form 9:30 to 17:00), and in front of Takayama-Jinya (from 13:00). 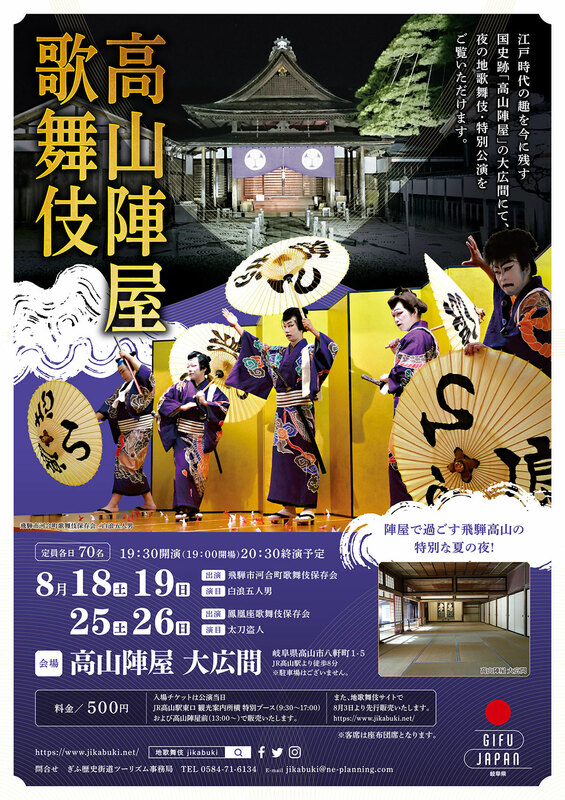 In addition, tickets will be sold in advance starting on August 3 on the Ji-Kabuki website.